Ladysmith Annexe in Brightlingsea, Essex sleeps 2 people. 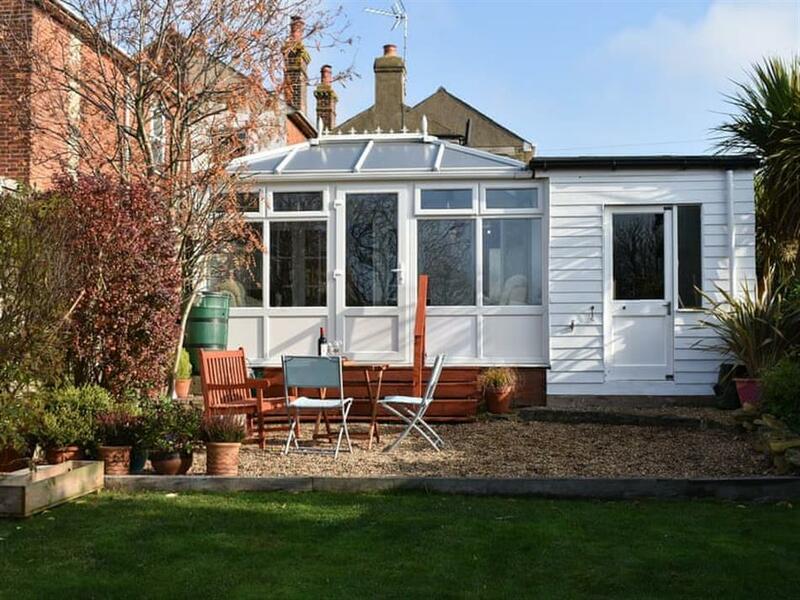 Ladysmith Annexe in Brightlingsea is a delightful annexe, attached to the owners’ home, which offers couples a cosy retreat to relax and unwind. Brightlingsea is an ancient maritime town, located at the mouth of the River Colne. It is a major yachting centre with the harbour and promenade bustling with activity. The town has a history of ship building and seafaring, and there are disused oyster pits near the Town Hard. There is also the Colne Smack Preservation Society which holds a programme of traditional races and many events throughout the year. The waters around Brightlingsea together with sandy beaches and colourful beach huts provide plenty of opportunities for a family day out. A number of lovely walks along the sea walls offer ramblers and birdwatchers the chance to enjoy the diverse flora and fauna that abound this beautiful corner of the Essex coastline. The town also has a fantastic lido. There is a beach 800 yards from Ladysmith Annexe in Brightlingsea. With the shop 200 yards, the pub is 150 yards and the restaurant is 300 yards from Ladysmith Annexe. Living room: With 26 Freeview TV, DVD player and patio doors leading to garden. Kitchen: Galley-style with Baby Belling oven with 2-ring hob and fridge. Underfloor gas central heating, electricity, bed linen and towels included. Travel cot and highchair. Washing machine available on request. 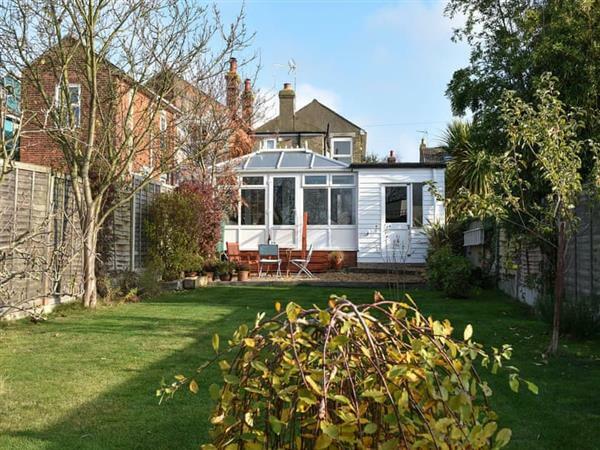 Small enclosed garden with patio, summerhouse and garden furniture. 1 small dog welcome. Private parking for 1 car. No smoking. Please note: There are 4 steps in the garden. Holidays at Ladysmith Annexe run from Monday to Monday. Pets allowed at Ladysmith Annexe. For a better idea of where Ladysmith Annexe is, you can see Ladysmith Annexe on the map below. Ladysmith Annexe is in Essex; should you be on the lookout for a special offer, you can find all the special offers in Essex. It's always worth checking to see what is on offer at the moment. Do you want to holiday near Ladysmith Annexe (UK10361), you can see other cottages within 25 miles of Ladysmith Annexe; have a look to find your perfect holiday location.